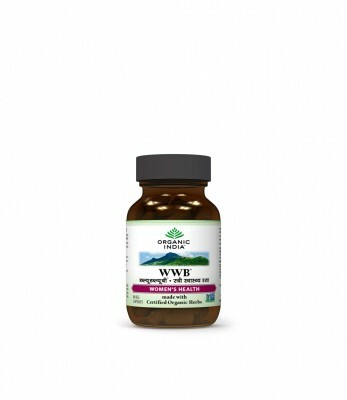 ORGANIC INDIA WWB Ayurvedic capsules contains health promoting herbs including a rich source of plant based estrogens. WWB is exceptional for promoting well being through all phases of a women's life cycle. WWB helps reduce inflammation & fluid retention.